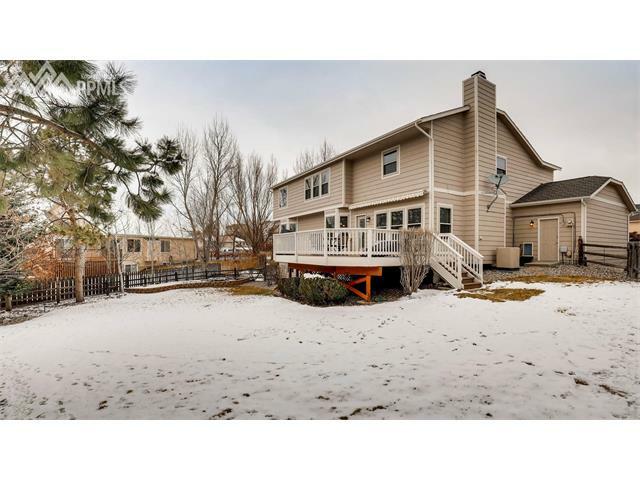 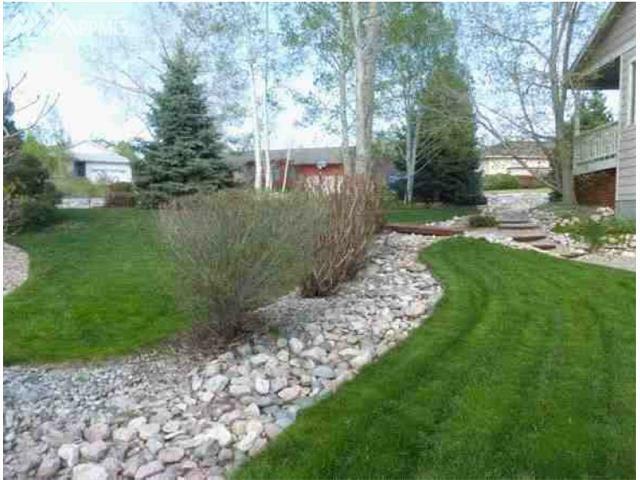 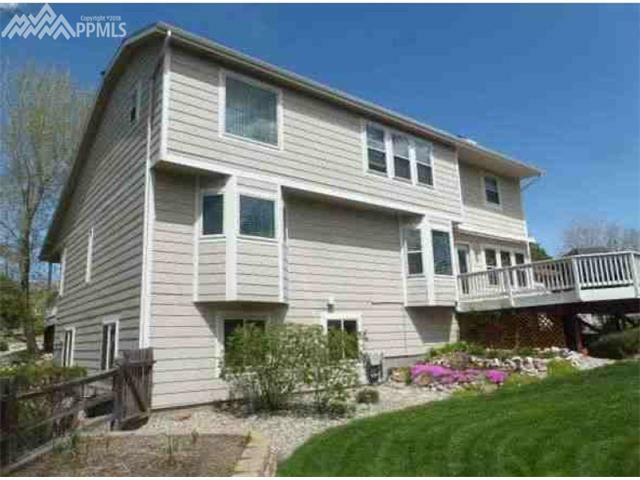 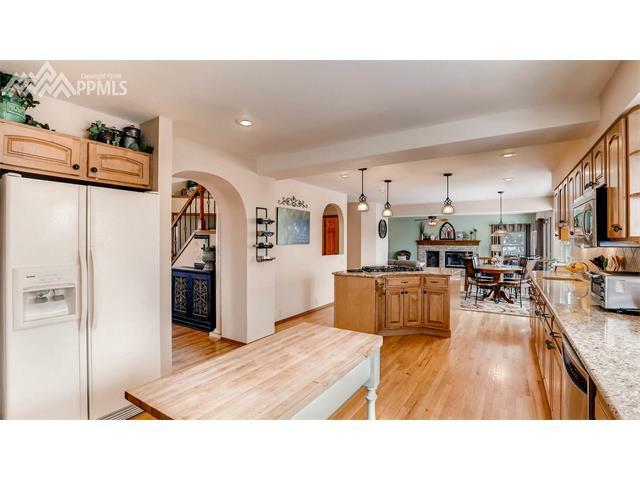 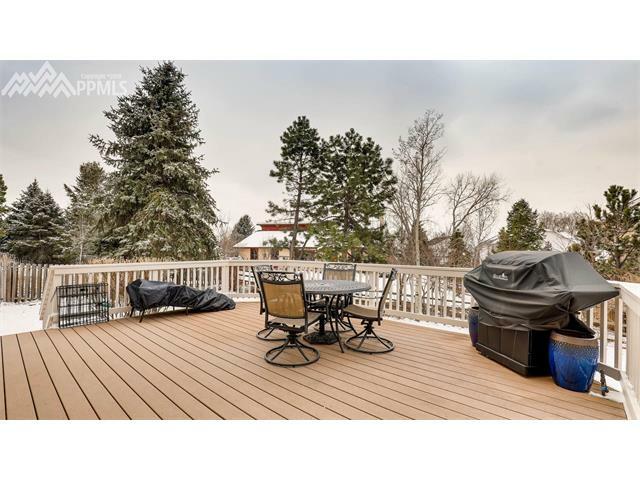 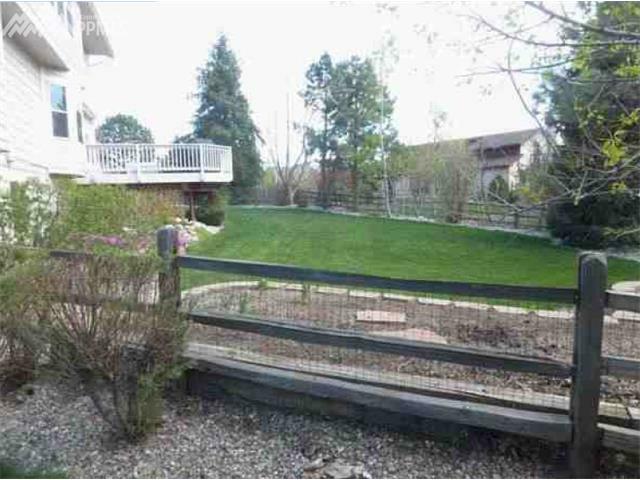 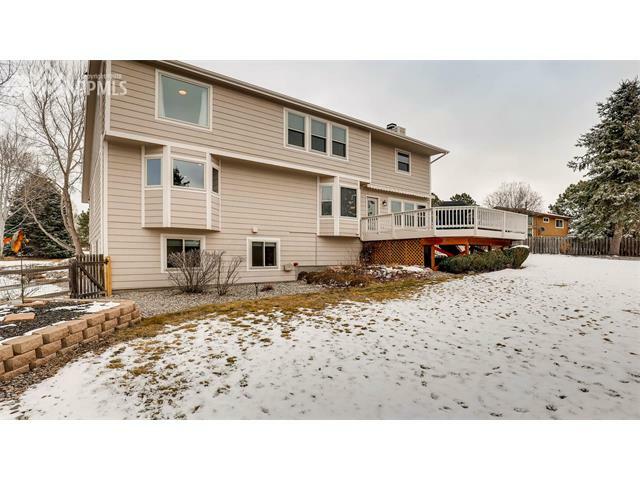 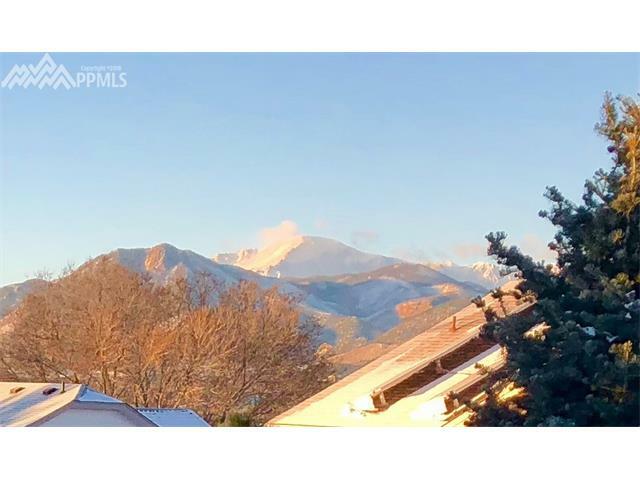 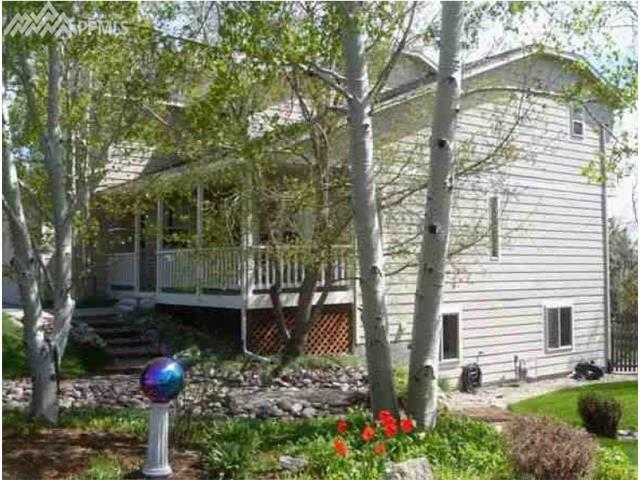 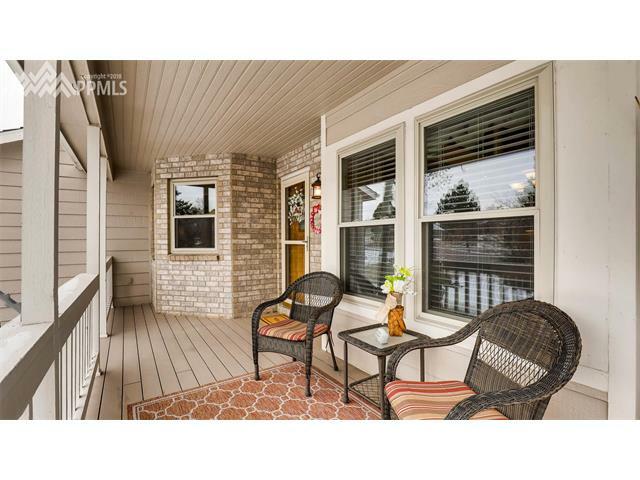 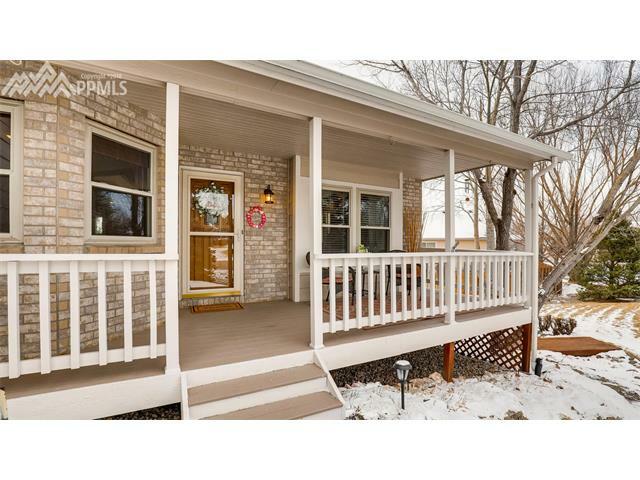 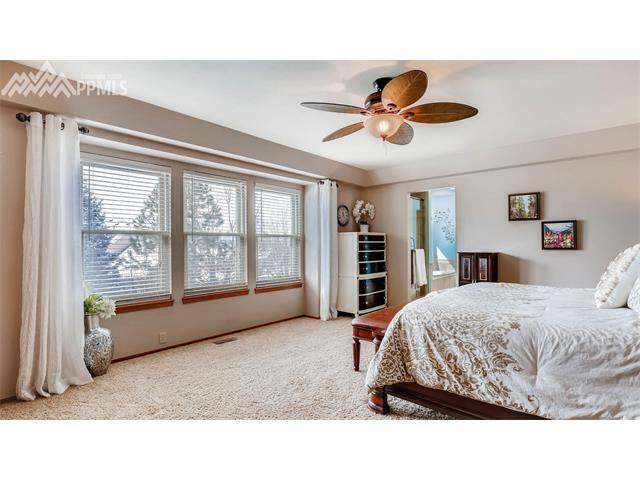 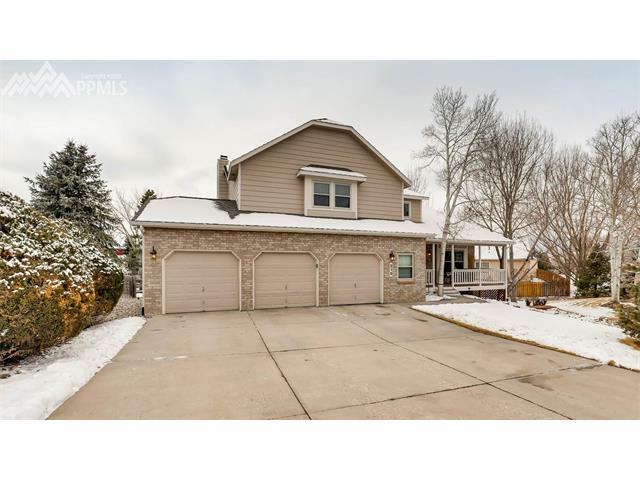 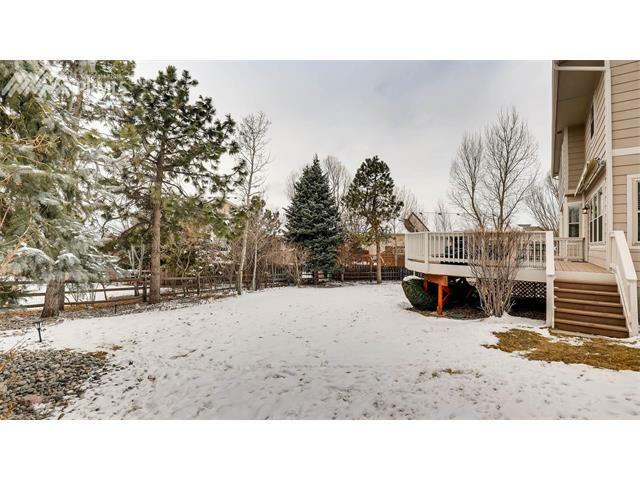 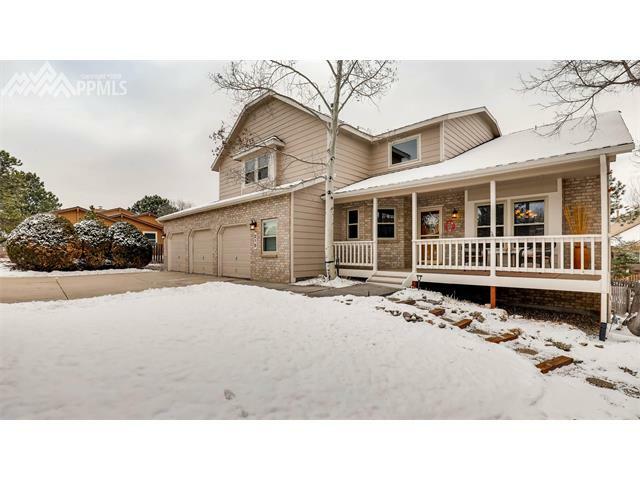 Stunning home in park like setting with plethora of trees, shrubs, perennials and Pikes Peak views. 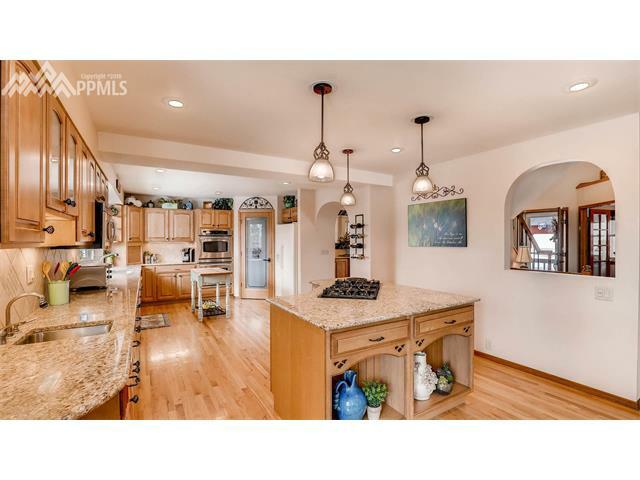 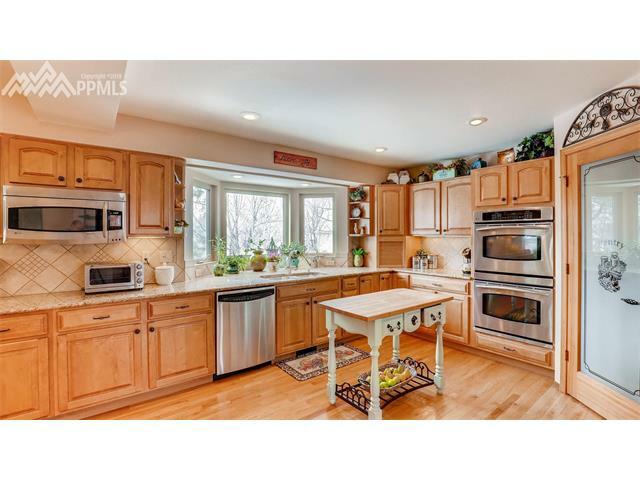 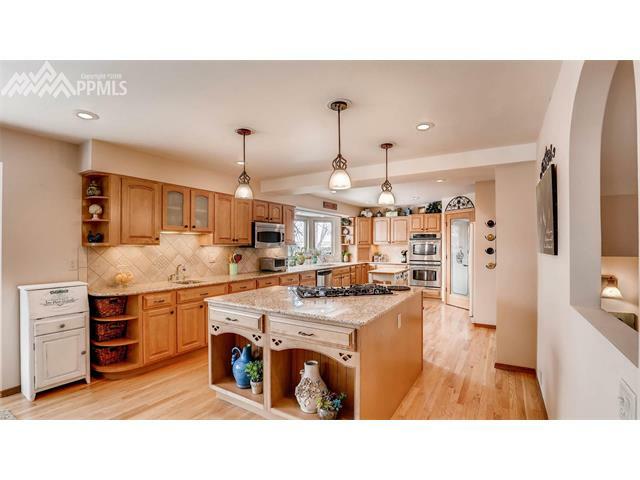 Elegant entry, huge remodeled Gourmet kitchen boasts granite, 5 burner gas range, vegetable sink, double ovens, walk-in pantry, custom cabinets. 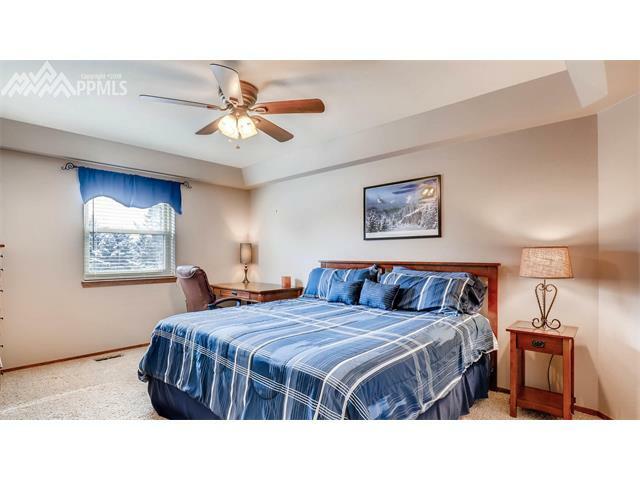 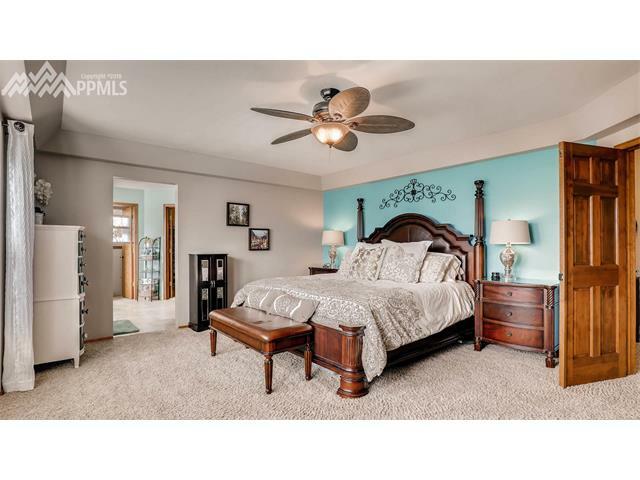 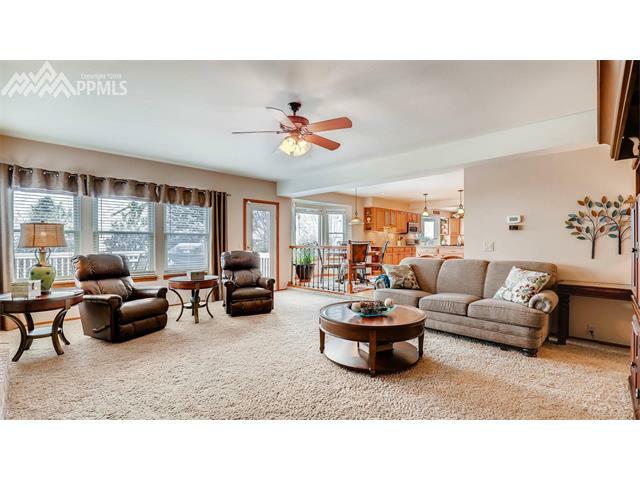 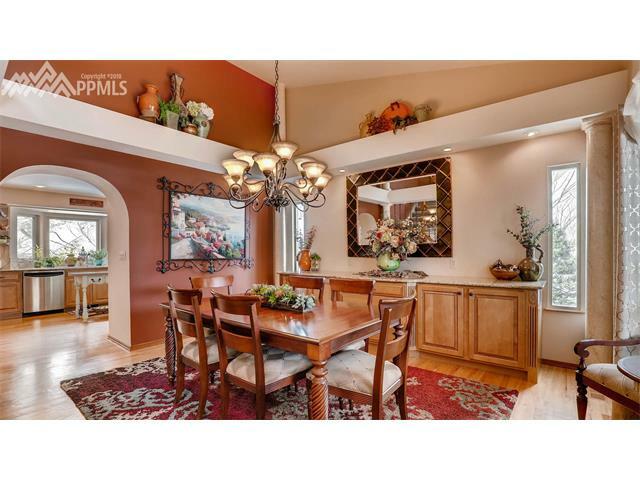 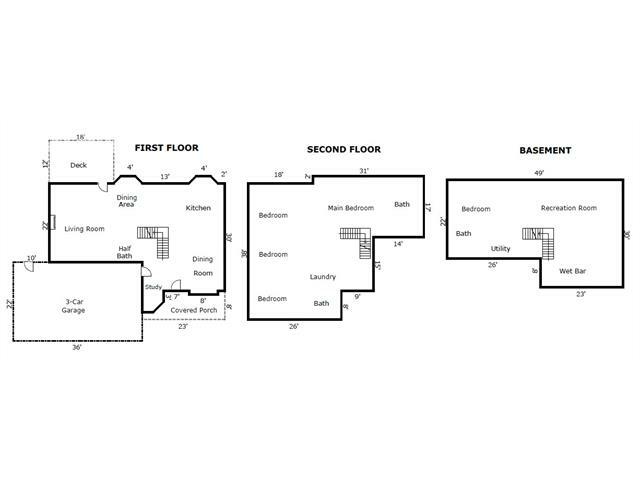 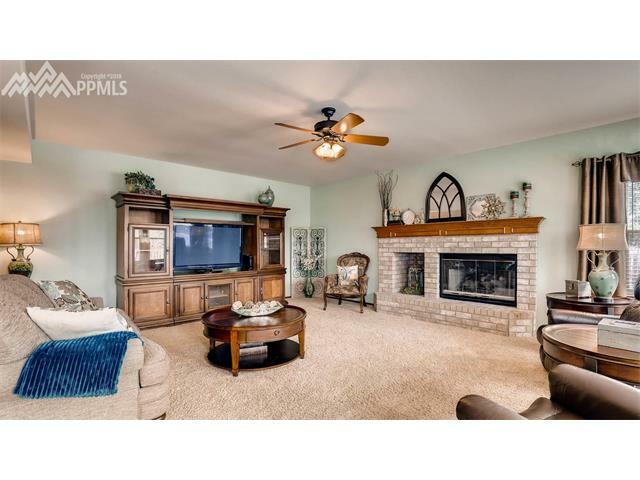 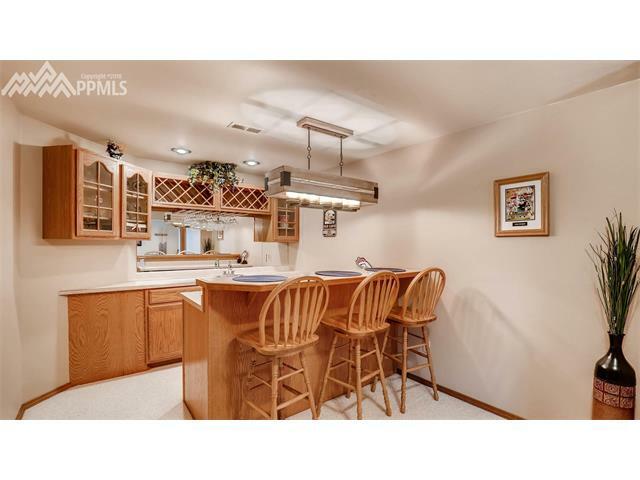 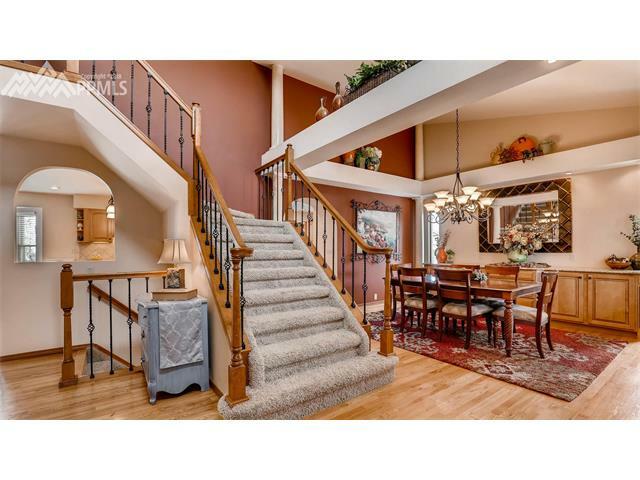 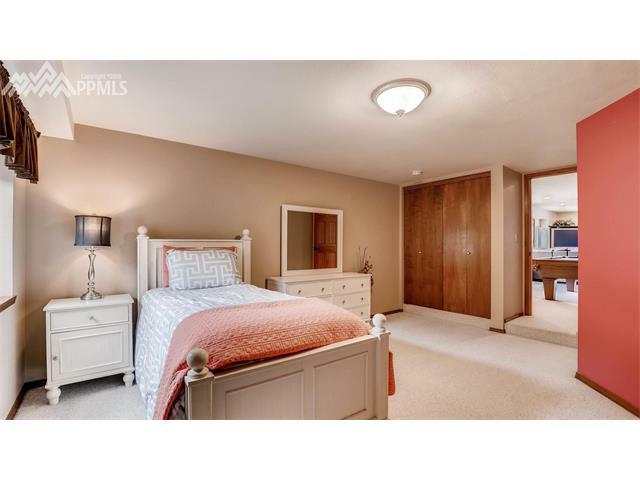 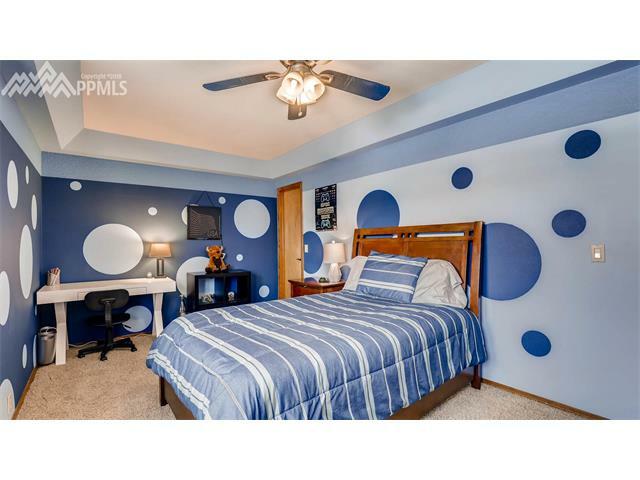 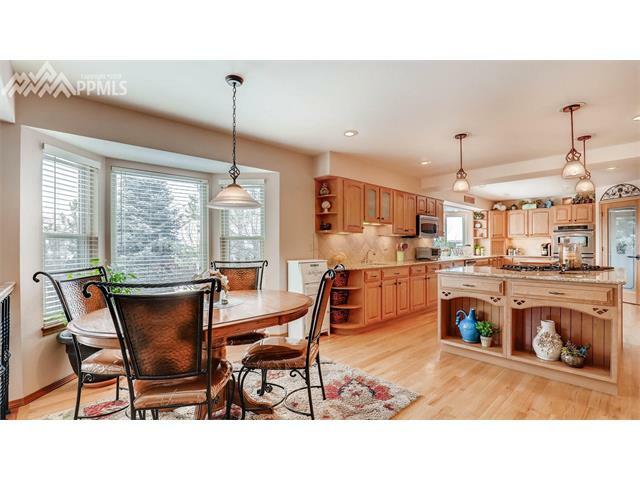 Rich wood floors, formal dining with built in serving area/granite slab. 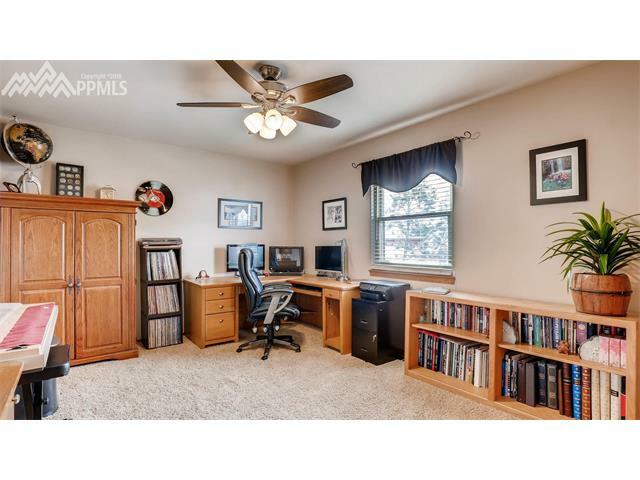 Office on main w/french doors. 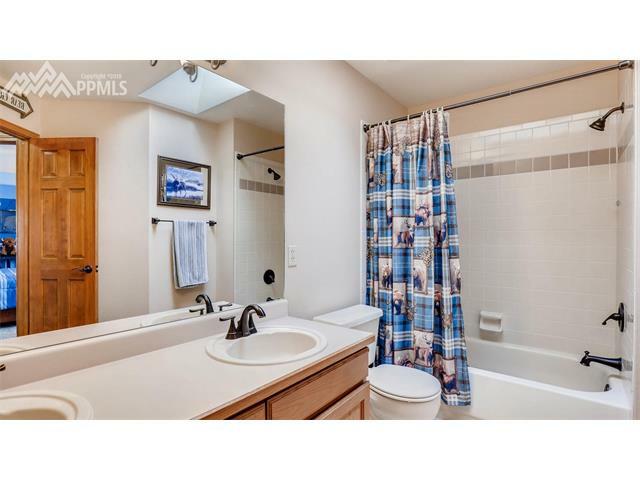 Newer: roof, water heater, pex plumbing, interior paint, A/C. 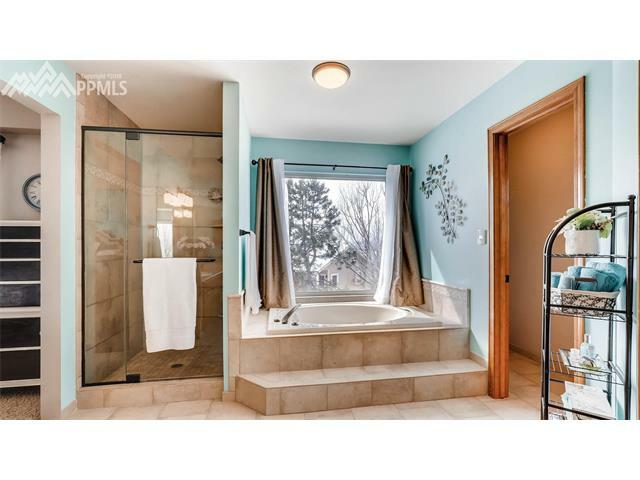 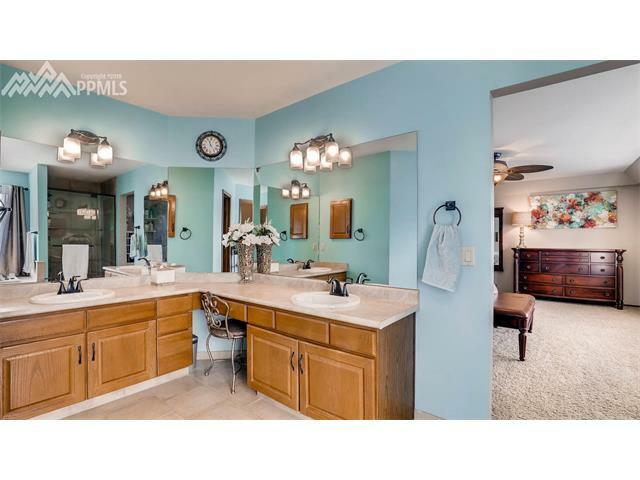 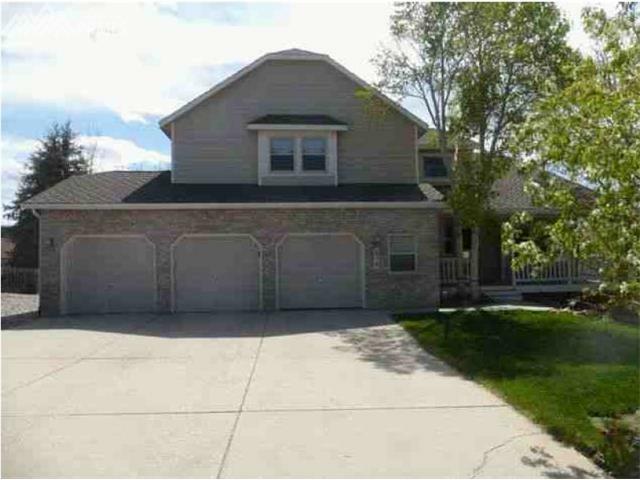 Amazing master with 5 pc heated tile floor and jetted tub. 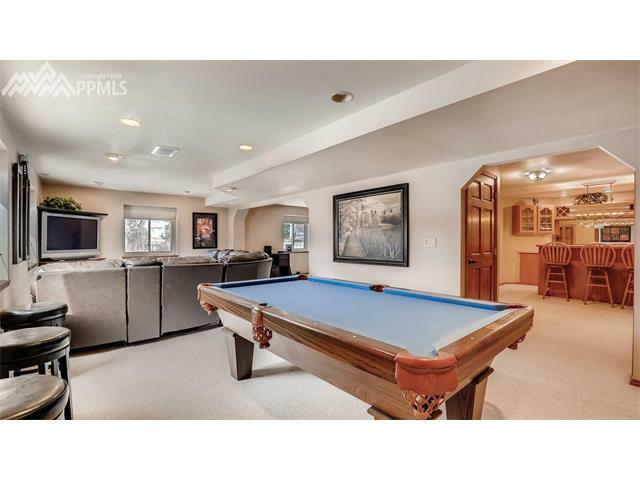 Garden level bsmt has game room, rec room and flex space.